The Messiah (Issue) is Coming! Home / Politics / The Messiah (Issue) is Coming! 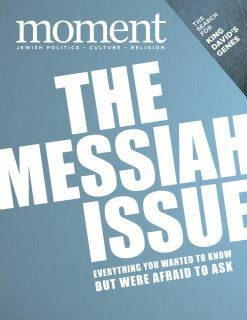 The wait for our Messiah issue is almost over! The March/April Moment is coming off the presses now, but here’s a sneak peek at the cover of this very exciting issue.